On 21st March 2019, American Express made some major changes to the rules on how you qualify for a sign-up bonus. I have put together this one page summary of the new rules. I will add a link to this page to the sidebar on the desktop and tablet version of Head for Points. 1 – If someone has only ever had a platinum charge card (cancelled about 5 months ago) and currently has no amex cards, are there any bonuses that they can currently get? 2 – If someone currently has only an spg card with no other amex for the last 6 months, theres no bonuses available right now? 1. You can get a bonus on the BAPP but that card only. 2. You can get a bonus on the BAPP and Platinum but those cards only. Julian sounds like a real barrel of fun. Must be lovely to be holier than all the rest. Met him, decent bloke – which is what you’d say about the majority of people who wind you up online if you meet them in person. I wouldn’t read so much into it, Julian’s views seem sincerely held and are far from being unusual on this matter. Like many here, I don’t agree with him but that doesn’t make his points any less valid. At the end of the day amex approved our cards, took our cash, encouraged us to spend more through offers, and rewarded us for growing their customer base. Thus, they are just as responsible for the situation that developed as their custoners, arguably moreso as it has always been within their means to have stopped it but they failed to do that until Wednesday evening. Though I’ve ‘churned’ a Gold card once, I have been a loyal Amex customer otherwise for the last 5 years (ie constant Plat and BA Prem card), so largely unaffected by that. With that said, the earning rate on Platinum needs a revamp – be it 1.5 points per pound, or 2 points for hotel/airline spend, something needs to be done, especially in view of the current change. The current state of credit card business in the UK is said though (compared to the US). Seeing many nasty comments above, would like to thank Rob once again for his hard work, and though he has always highlighted how to get a good deal, I have never seen him ‘encourage churning’. I doubt that will happen. The exchange rate is limiting really what AmEx can give back to the customer. Big spenders will probably be wise enough to clear the balance and thus not much intrest gain there. O/T – anyone know of a UK (free) number to call Marriott to request a transfer of Bonvoy points between family members please? Quick Question. Does anyone know if applying for and then holding the Business charge cards will effect the 24 month hold on any of the personal cards. I.e. will I have to wait another 24 months after cancellation if I churn those in six months time? Also do the Business Cards offer referrals or Gold to Platinum upgrade bonuses of any kind? It will affect the platinum card as the business card still gives you personally an MR account. Re Plat Business – is the fee refunded pro-rata like the personal ones? Depends how much you want to annoy your accountant when they have to sort through it :D.
I’ve got the Gold charge card. If I upgrade to Platinum, will I still get the 25k odd bonus MRs? Please can I ask when you received your upgrade offer from gold reward card to platinum? Was it after a year of membership? If your Gold is a credit card you’re not getting an offer. Just to clarify, if I cancel my personal Preferred Rewards Gold card now, I am eligible for the Platinum Business bonus in 6 months, correct? Yes, if you have a suitable business! I agree. These are also exempt from the interchange cap so Amex would be getting a decent return on them as well. It would seem now that if you have any of the reward cards you can no longer get the welcome bonus. Er, no. That’s not what it says. Read it again. Out of interest I currently have a gold card. Can I refer myself for a BA premium plus for the points? If I am a second card holder on spouse BA Platinum Amex, can I still open new card in my own name and qualify for bonus, or do I also have to give up existing card and wait 24 months? Slightly OT but I cancelled my Amex Plat as I lost my job and didn’t need the benefits nor the costs as I wasn’t travelling. 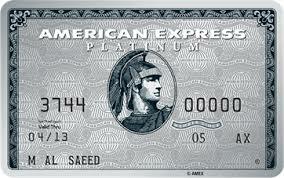 Starting a new job, so thinking of getting the Amex Plat again. I know I won’t get the sign up bonus but is there a period I must wait following closure before applying? No, the wait was only for the being eligible again for the sign up bonus.